The geo-ecological stability of a place has an important role in contributing to the livelihood security of its people. Large-scale monoculture tea plantations (also called estates or gardens) generally supply commercial cultivation. Contrastingly, local-scale smallholder production is traditionally used to supplement subsistence agriculture and there has been a steady increase in smallholder production for cash crop export in recent years. 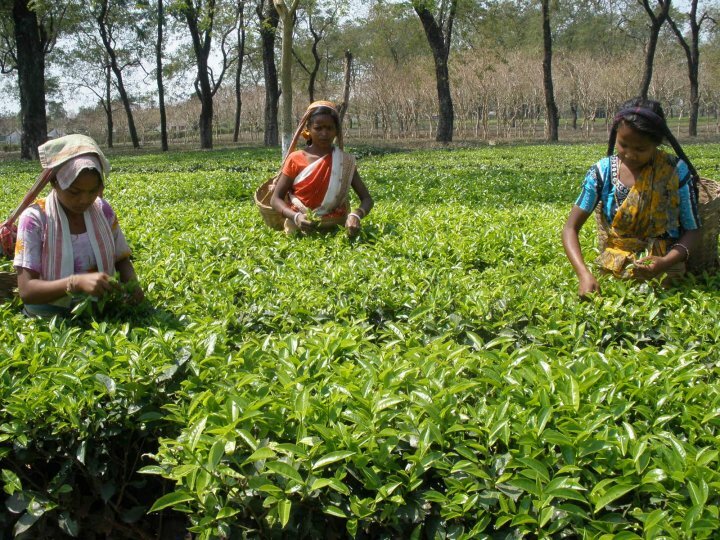 Tea landscapes play a pivotal role in livelihood security at various global localities e.g. harvesting of tea crops has traditionally been non-mechanised therefore a large labour force is required which provides employment opportunities. In Nepal, tea production is an emergent sector being cultivated under sustainable cooperatives. The opportunity for fair-trade and organic certification can further enhance livelihoods through socially equitable production. Effective investment and governance is also a necessary component, as has been identified through tea production practices in Sri Lanka, where strong institutional frameworks and infrastructure have been highlighted as key mitigation strategies under a changing climate. Contrastingly, in the Darjeeling Hills, changes in tea production practices are challenging livelihood security due to closure of tea estates and employment shortfalls due to rapidly expanding populations; here financial crises have impacted the plantation economy and community due to over-dependence on tea plantations for livelihoods and a lack of alternative livelihood sources. Through looking at the role of tea landscapes in livelihoods, it will be possible to determine whether centuries of tea production in Assam can provide evidence to support the crop as ecologically resilient and the most suitable crop to reduce vulnerability and develop social resiliency within the state. Such research is essential to ensure continuing sustainable practice in Assam and transfer best-practice strategies to new-world commercial and smallholder tea ventures.